Speculation is mounting in China that the country is set to further relax its two-child policy and allow people to have more children. State media have also been suggesting that change is on the horizon. The China Times newspaper said in a recent editorial that the two-child policy is “not effectively increasing the national fertility rate”. The controversial one-child policy was first introduced in 1979 and finally abolished in late 2015. But parents have been slow to take advantage of the two-child policy that replaced it and many young Chinese say that they would struggle to afford having one child – let alone two or more. 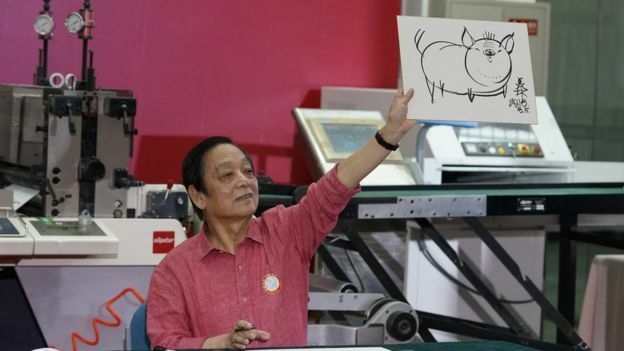 One depicts a pig “running towards a better life”, while another shows “a five-member pig family living happily”. Chinese New Year, which falls annually in either January or February, is traditionally seen as a sign of new beginnings. The state often highlights certain themes and ideas ahead of upcoming policy changes in the new Lunar year. Consequently, social media users, in their thousands, have been suggesting that the stamps are a subtle signal from the government. 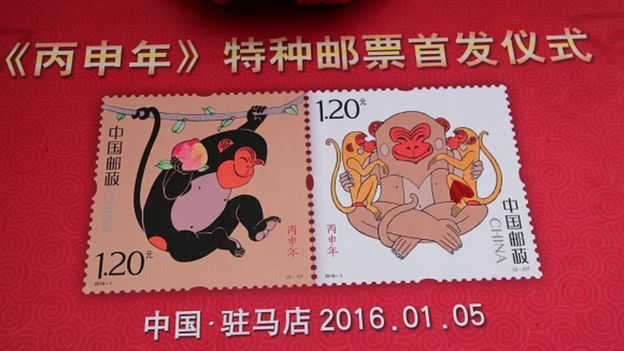 Weibo user ‘Shandong Mage’ noted that the 1980 stamp featured a single monkey, but that the 2016 stamp featured a mother and two baby monkeys, and was released shortly before the one-child policy was scrapped. China introduced its one-child policy in late 1979 to reduce the country’s birth rate, although it had already decreased significantly from 5.8 children per woman in 1970 to 2.7 in 1978. He said that some 25 million people came out of the labour market every year and became people “who need social security support”. His post, which has been shared over 1,000 times, alludes to the challenge posed by China’s ageing society. By 2050, more than a quarter of its 1.3bn population is expected to be over 65 years old. The country’s fertility rate is one of the lowest in the world and well below the rate of 2.1 children per woman required to replace the population across generations. China also faces a worsening gender balance, a hangover from the one-child policy, when the country’s traditional bias towards male children led to forced abortions and female infanticide. It’s estimated that there are some 33 million more men than women currently in China. But the government’s efforts to get people to have more children have not gone down well with many young people. The new stamps have prompted a flood of messages on Weibo from users who say they can’t afford to have more than one child. ‘Chen Tangjie’ says that he, or she, is “young and struggling” to stay afloat. “I can’t afford three children, a three-child policy is not necessary!” adds ‘Chun Jierun’. Some users say there are problems with the education system that need rectifying before parents are encouraged to have more children. One says that China should be “reducing the huge burden on people in the education industry and creating more nurseries” instead of “encouraging people to live like pigs”. Others say that a three-child policy would specifically impact women’s careers, and cite problems getting onto the housing ladder because of rising property prices. “Nowadays, it’s become obvious that recruiters are avoiding hiring women who have not yet had children,” says ‘Quliulang Kehao’. It’s entirely possible that the stamps are not designed to signal a new three-child policy. 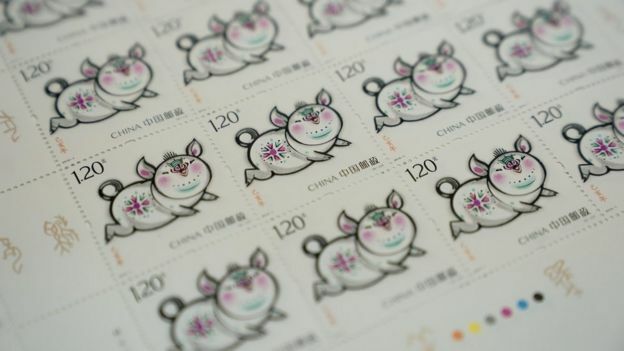 In 2007, the last Year of the Pig, stamps were released showing a family with five piglets. But many believe China could actually go much further. Scholar He Yanfu told the China Times that there was “a 90% chance that a fully liberalised birth policy will be implemented next year”.